Quiet affluent neighborhood, Close to Beach, large backyard, private pool! Property 2: Quiet affluent neighborhood, Close to Beach, large backyard, private pool! Private La Jolla Retreat Suite in Beautiful Neighborhood Minutes to Beaches! Property 8: Private La Jolla Retreat Suite in Beautiful Neighborhood Minutes to Beaches! Property 15: Ocean Beach Casita with Hot Tub, Views & Garage! This is the one you were looking for in La Jolla! 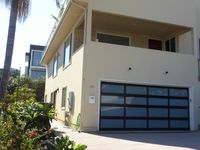 Property 20: This is the one you were looking for in La Jolla! The space is a 2 bedroom space on the ground floor. We live above the space. Property 21: The space is a 2 bedroom space on the ground floor. We live above the space. Peaceful garden oasis at the beach! Property 24: Peaceful garden oasis at the beach! Cozy Clifftop Guest Cottage - Private Access, Ideal Location, Close to it all! Property 28: Cozy Clifftop Guest Cottage - Private Access, Ideal Location, Close to it all! Jane&rsquo;s place was great! Just the right size for two people. Clean space, good neighborhood, walkability. Soft bed. Stayed here with a group of girlfriends for the weekend and it was perfect! Very clean and super cute decor! Amanda was a great host, I would stay here again.